I love doing my nails. It's how I relax, and as you can see through my blog I change the color of my nails a lot and LOVE nail art. French manicures are my favorite but they take a lot of time to do. The website KKCenterHK contacted me and offered to sent me some nail products to try out. I was quite excited because anything nail related I love trying out! KKCenterHK is a company based in Hong Kong that sells false lashes, makeup, wigs, nail products and accessories. 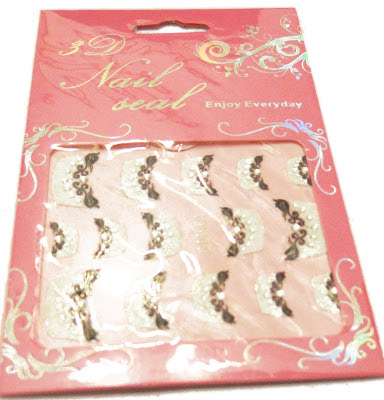 I picked out 3D - 805 which is the 3D Nail Seal Black White Lace Rhinestones French Nail Seal. They retail for $3.10 CDN. This is much cheaper than most drugstore nail seals, so it's very affordable! I wore these for the holidays and I loved them. You get 15 of the nail seals in different nail sizes. They were easy to put on. You can put a base color such as a light pink and then put these on top but I decided to just put my base coat and then put these on. You just peel off the size that you want and lay it on your nail and rub it down. As I went through my nails I found that if you placed one corner first it was easier to position it. After applying the nail seal I used my top coat Seche Vite to add a shine and to make them last longer. 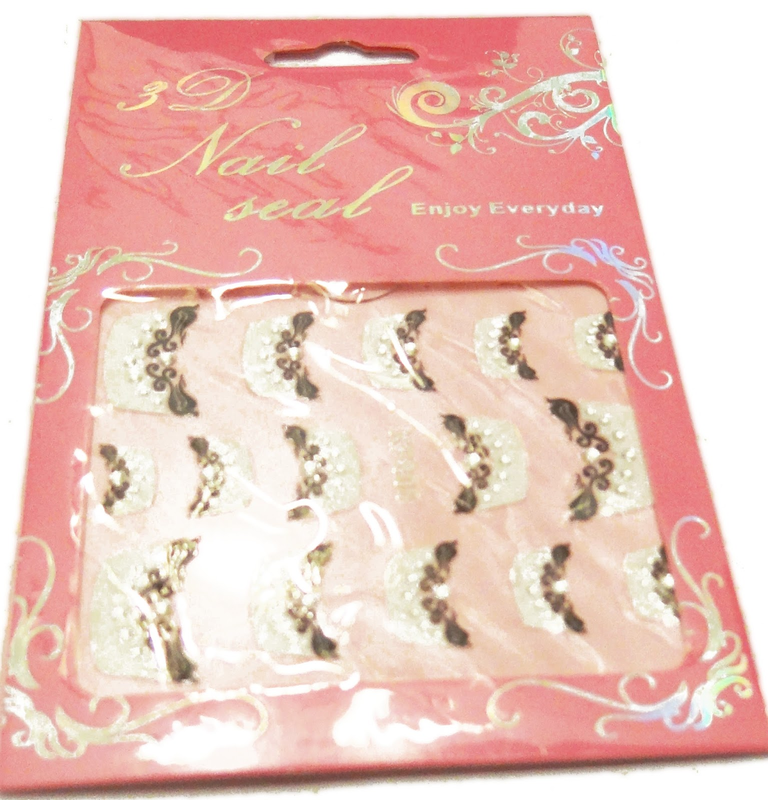 I found this nail seal very convient and easy to use. If there was a size that didn't fit I just trimmed the sides a bit. I also filed down my nails once I put these seals on so that they matched up with the seals. I can't wait to try out the other nail seals that they offer on their website. KKCenterHK's shipping was fast, I received the package within a week which was awesome. I recommend checking out their website and I will be definitely purchasing more nail products along with trying out the other products they offer in the near future!